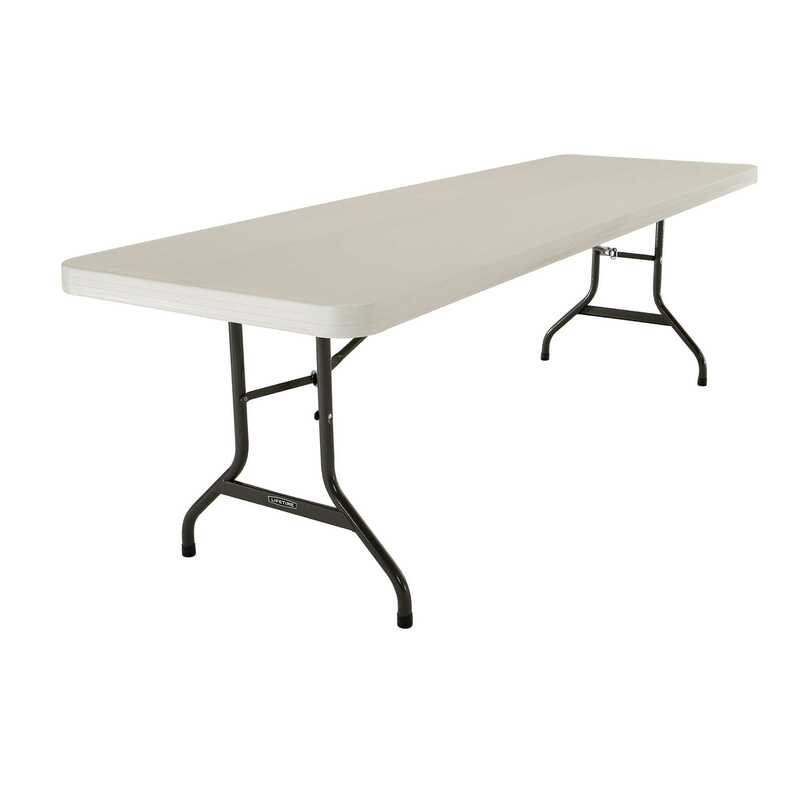 Lifetime Utility Tables are made from polyethylene, a plastic that is virtually indestructible. It will not chip, crack or peel like particleboard laminates or wood. 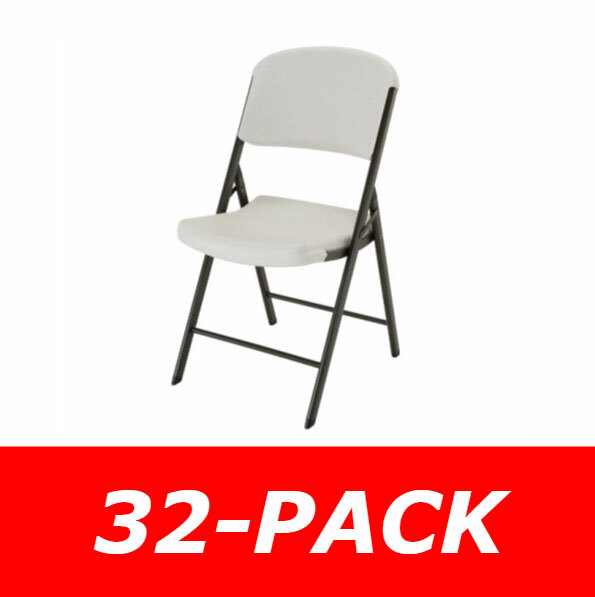 Polyethylene has superior durability and is ideal for indoor or outdoor use. It is easier to clean, is lightweight and more attractive than a wood table. Our polyethylene is formulated with UV inhibitors that are designed to maintain the integrity of the polyethylene when exposed to sunlight, making our tables and chairs weather resistant. All of our tables are stain resistant, even the toughest of stains such as red punch, tomato sauce, mustard and motor oil cannot stain the Lifetime tabletop. With Lifetime, you can count on the highest quality design and construction. All of our products feature the highest-quality steel parts. Every table features a hammer-toned, powder-coat finish that makes the steel rust-and-scratch-resistant. Powder coating is the most durable coloring process on the market. It is stronger than traditional paints and provides a strong weather-resistant seal. Universal Table Cart makes table stacking and storage easy. This Universal Table Cart holds up to 10 rectangular tables or up to 10 round tables. With Lifetime, you can count on the highest quality design and construction. All of our products feature the highest-quality steel parts. This cart features a hammer-toned, powder-coat finish that makes the steel rust-and-scratch-resistant. Powder coating is the most durable coloring process on the market. It is stronger than traditional paints and provides a strong weather-resistant seal. Take a look at the video below to get an idea of exactly how well built these Lifetime tables are. 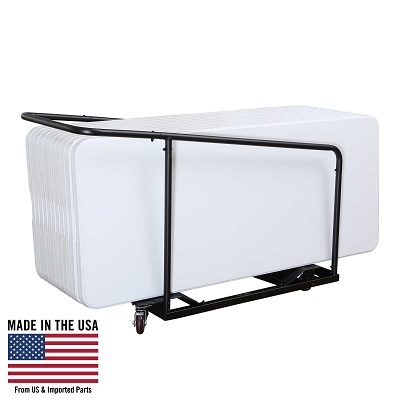 This video gives a demonstration showing them unfold and fold up and store on the cart. Q: we are Tax Exempt should I call my order in or can I place it online and send you our tax exempt certificate? A: Just give us a call and we'll help you place your order! 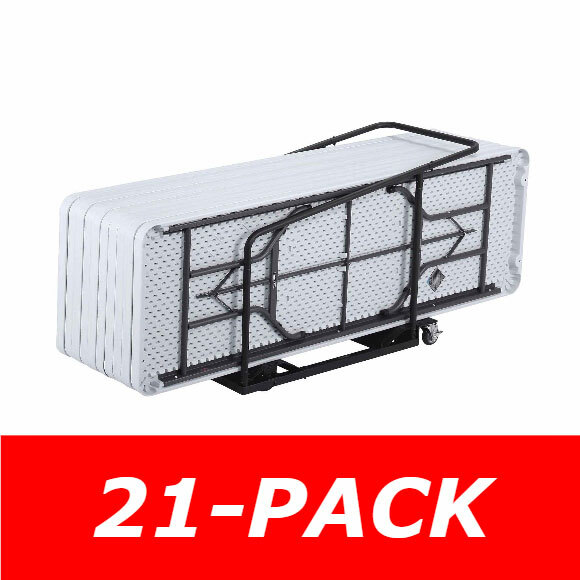 Q: Can I buy 11 tables and the cart and what is the cost ? A: We would be happy to send you a quotation. Q: We will be placing an order online in a day or two using the University credit card. We will order 80441 and 80135 & 80136. Can you give me an estimated delivery? A: That depends largely on what state it will be shipping to. On such a large order it will probably take a week to ship out, and then another 3-7 business days depending on what state it is shipping to. 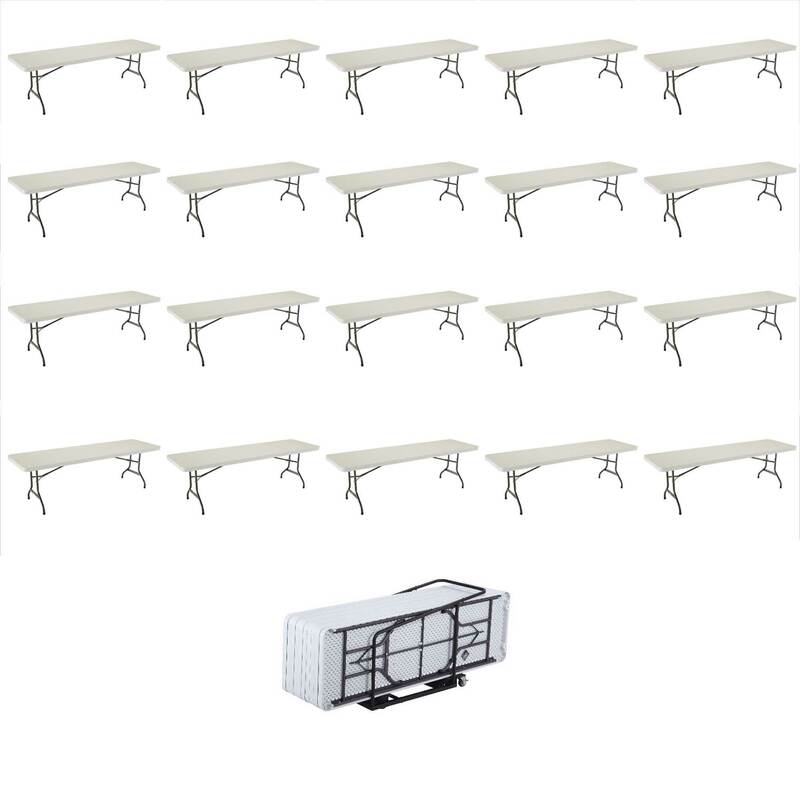 Q: What is the weight of each table? 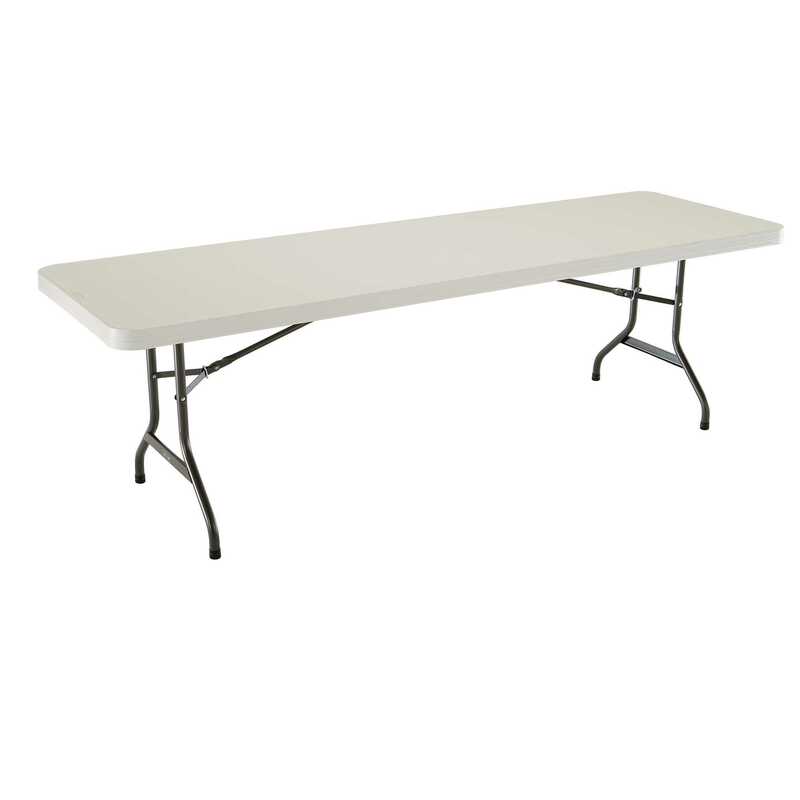 A: Each table weighs 50 pounds. 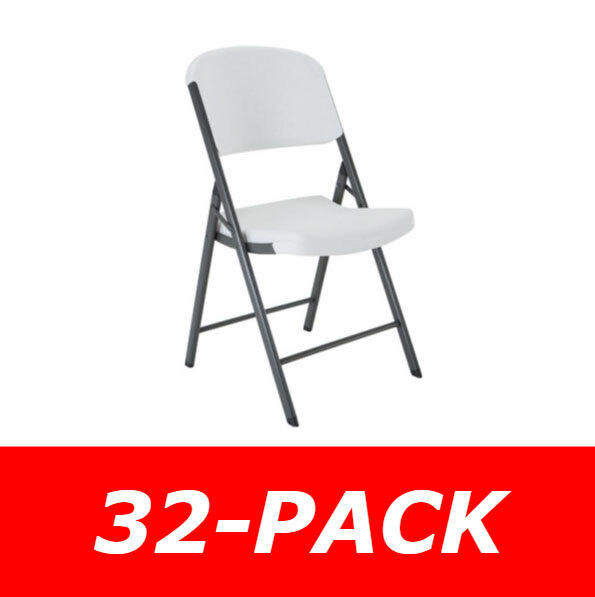 Q: How many tables and carts come with this? 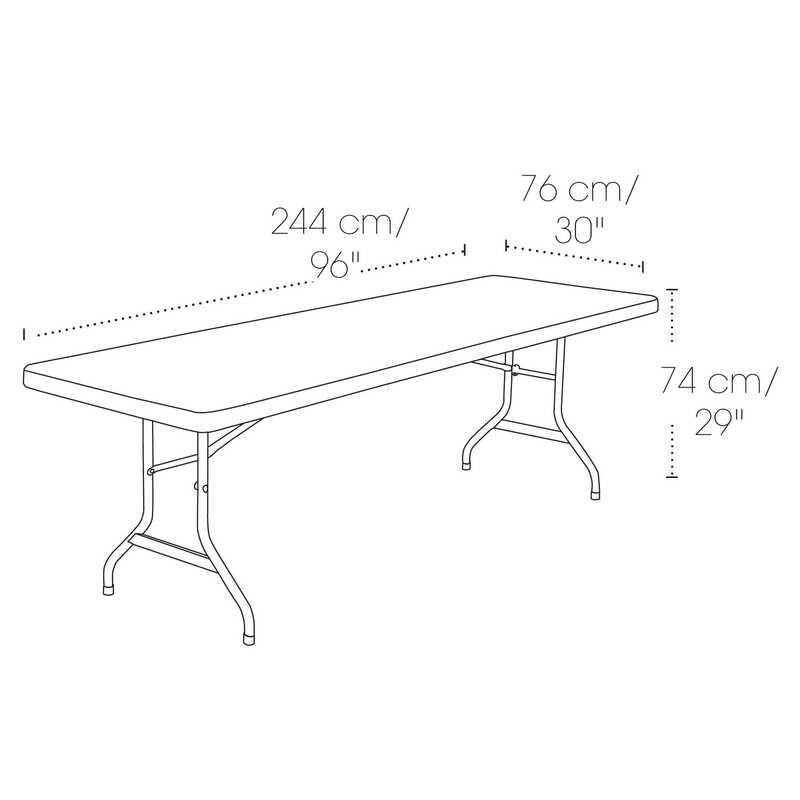 A: This listing includes 21 of the 8 foot tables and one storage cart that holds 11 tables. Dimensions: 96" x 48" x 33"